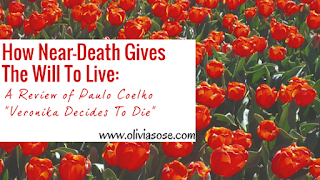 I accidentally came across Veronika Decides To Die By Paulo Coelho ; prior to this day I have had several encounters with other titles written by the same author but I have always dismissed them. At some point last year, The Alchemist was sitting pretty lonely on my bookshelf and I gifted it to a neighbor because I never felt compelled to read it; now I strongly wished I had read it before giving it out, how could I have let a miracle slip through my hands? That is exactly how I feel about Paulo Coelho, he is a miracle and I bless the universe that I discovered him at the right time. A time where I am constantly complaining of how boring and monotonous my life have suddenly become. I decided to do something about it last weekend, I ran off from what has become too familiar and quite honestly boring school work and decided to travel with my cousin. This is something I would never do, travel while school still in session. But I had dared to pack an overnight bag containing essentials and clothes for three days. It was during this trip, I found my Miracle in pages of Veronika Decides to Die. I felt the universe was rewarding me for daring to break out of my monotonous and rigid lifestyle, this just further cements my faith in life and right timing, how life pushes certain things at us, at the exact time we need it. Her life had become routine and monotonous. She felt a complete sense of powerlessness about her situation. She decides to take an overdose of very powerful sleeping pills, but instead of heaven or hell, she awakes at Villete - a lunatic asylum, where she is told she has just few days to live. At Villete we are privileged to the private thoughts of other patients who evaluate their lives after meeting Veronika, we also see how they change Veronika's perspective of life. We meet Zedka, who's in the asylum to treat depression, there's Mari who suffered from panic attack and there's Eduard, a young schizophrenic. Through these characters, the author shows that fear is man's greatest enemy to living a full life. In as much as it is an established fact that every human being is different, a lot of people still strive to be the same with everyone else. We struggle to fit into society's diction of what normalcy should be. This book dares everyone to be comfortable in their differences even if society terms it madness. The more we keep fighting our true nature, just to fit in, we keep growing bitter and this could lead to so much ills and eventually the will to live. Ironically, Veronika who tried to kill herself, now wants to enjoy every moment of her life, just because she finds out she has just few days on earth. 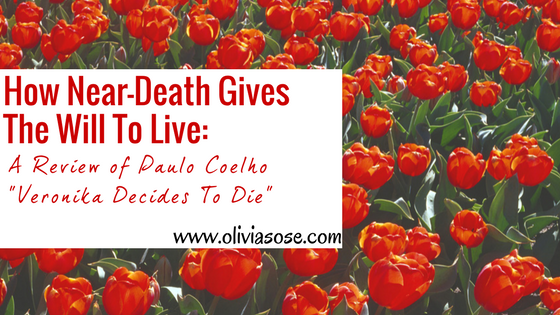 She is dared by the stories of other patients to truly enjoy her last moments on earth. She falls in love with Eduard and decides to spend her last days doing exactly what she loves. My favorite character happens to be Dr Igor, his trick on Veronika makes me laugh really hard at what is supposed to be a tragic story. Veronika Decides to Die urges you to seize the day and live your life doing what you truly love. You're allowed to take pleasure from life. Do not be like Veronika, don't wait until you're at the brink of death before you realise that you owe it to yourself to live a full life. Veronika got a second chance to live, you might not. Wow!great plot. I can't wait to read it. You'd absolutely love it dear.